My daughter has been DESPERATE to make this recipe, demonstrated here by two Cebeebies presenters. 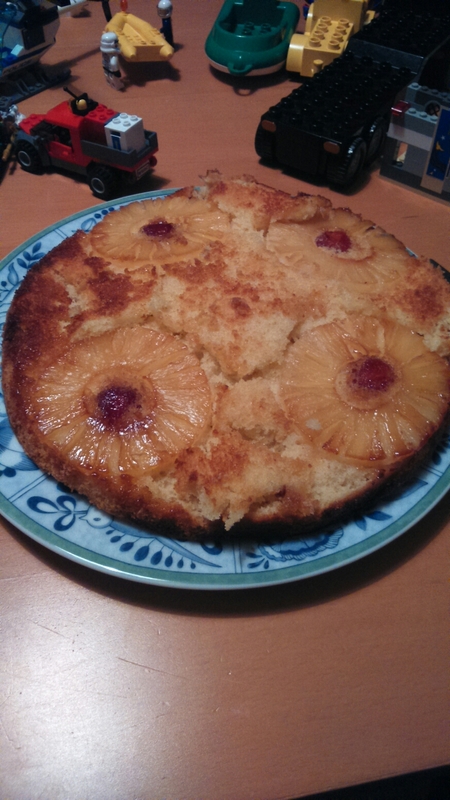 We have had the tin of pineapple for about a month and were all set to go when my husband inexplicably used up ALL the glacé cherries the Friday before…. 2.when the recipe says cook for 60 mins, don’t chicken out after 30. It was delicious, though, well recommended as can be seen by all the lego inching closer to have a nibble.